Kayla Maisonet is an American actress. She is best known for her portrayal of Georgie Diaz in the Disney Channel sitcom Stuck in the Middle (2016-2018). 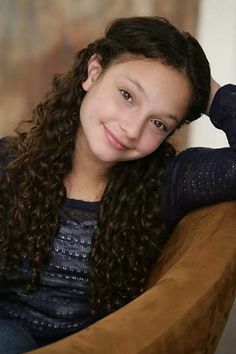 She played Lilly in the Nickelodeon series The Haunted Hathaways and had a recurring role in the Disney Channel series Dog with a Blog from 2012 to 2015, for which she won the award for the Best Performance in a TV Series – Recurring Young Actress at the 35th Young Artist Awards in 2014. Born Kayla Rose Maisonet on June 20, 1999 in New York City, New York, USA, to Amanda and Angelo Maisonet, she has a brother. She started dancing at the age of 5. At the age of 12, she moved to Los Angeles with her parents to pursue her acting career. She has been in a relationship with actor Nathaniel Potvin. Siblings: She has a brother. She graduated in March 2017 from high school. *She was born on June 20, 1999 in New York City, New York, USA. *Began dancing at age 5. *She has two chihuahua dogs.